Escape Gives Back - with Backpacks! This year has been a tough one for our state. Hundreds of children lost everything in the recent wildfires, including their schools. I’m happy to say that giving is in Escape Technology’s DNA. So, as soon as Team Escape heard about the devastation in Butte County, Ramona Marshall, President, leaped into action. 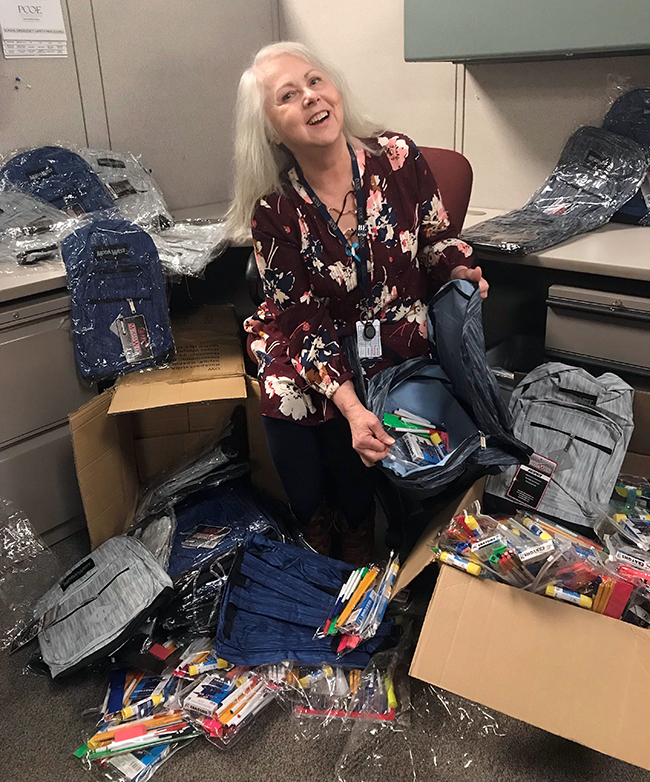 Working with staff at Placer COE, she ordered backpacks complete with school supplies for the children. Diana Davis, Escape HR/Pay Software Support Analyst, sent an email to all Escapees, letting let us know that Butte County is referring people to make monetary donations to the Butte County Schools Fire Relief Fund, hosted by the North Valley Community Foundation. Many Escapees chose to donate and take the additional step of filling out paperwork for a matching donation from Escape. As one of the many benefits provided by Escape Technology, we have a matching donation program, where Escapees can match their donations to the Camp Fire relief and many other deserving organizations. Laura Ralph, Staff Secretary at Placer COE sorts through the donated backpacks and supplies.